Participants of the film production workshop in the Jerat Papua office in Jayapura. The Papuan Voices community has begun hosting pre-festival filmmaking workshops in several regions in Papua to generate more enthusiasm among filmmakers for the second Papuan independent Film Festival. Earlier this month the community announced the dates for the Festival Films Papua (FFP-II), which will take place on August 7-9, 2018 in Jayapura, the provincial capital of Papua, Indonesia. 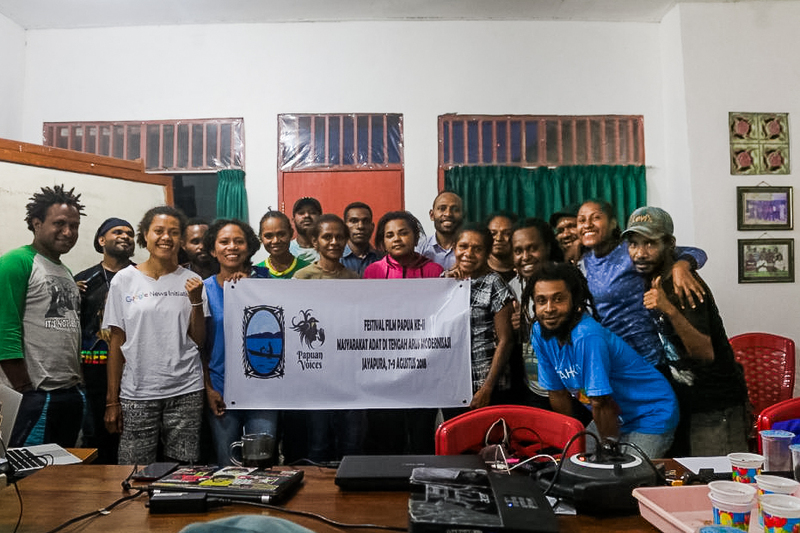 During 28-30 May, 2018 the Papuan Voices Jayapura held a film production workshop at the office of the Papuan Peoples Network (Jerat Papua), an NGO which works with the local indigenous people. This event attracted 15 participants from around Jayapura who are mostly students of local universities and members from local NGOs. 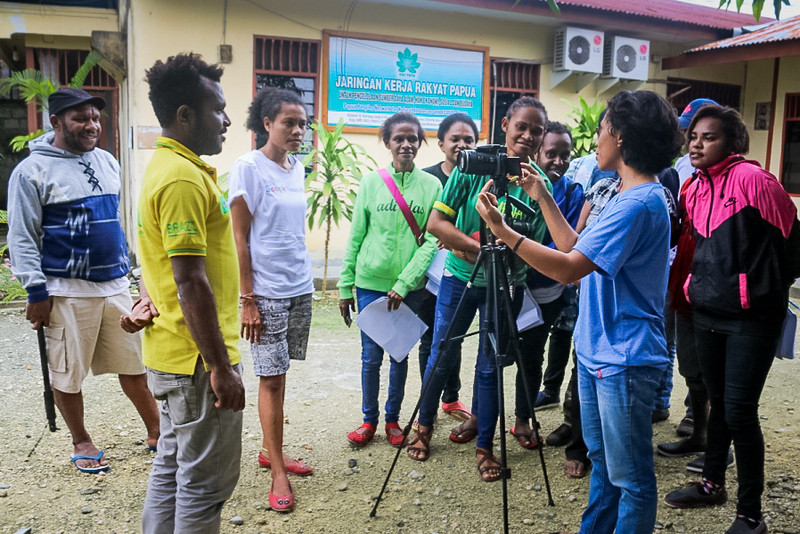 According to Papuan Voices, this workshop aimed to train mostly young amateur and aspiring filmmakers, who have the same dream for using video for their causes just like the Papuan Voices community. Trainer Asrida Elisabeth told news portal Tabloid Jubi: “we are motivating newly joined participants to produce a good documentary film that is also good for the community”. In addition to improving the participants’ understanding of important issues in their respective areas, the participants were explained about the process of making documentary films. The trainers helped some of the participants starting their practice on documentary films on issues that affect them. Hopefully, they will continue to work on the videos and will participate in the upcoming 2nd Papuan Film Festival in Jayapura city. The trainers of this workshop worked voluntarily and rest of the expenses were met by donations from PV members and financial help from some partners. They also got help from the NGO Jerat which provided their office to be used for the training. The most encouraging news coming from this workshop was that the participants were able to produce eight powerful stories that will be taken to next level towards film production. 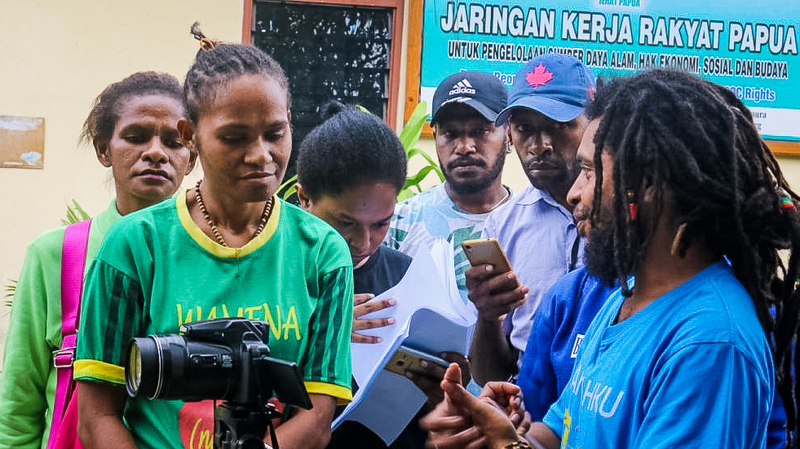 Last year the Papuan Voices team also conducted a similar film production workshop which produced five film stories which were later completed and submitted in the main event.